Easter is coming. 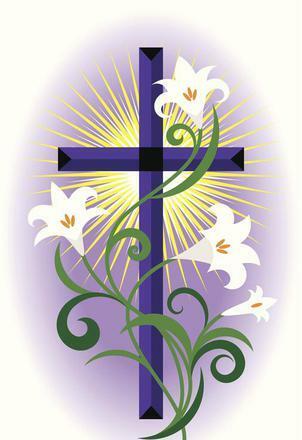 It is a time when we celebrate the resurrection of Christ. The time is not complete unless we take joy in the new life given to us by Jesus Christ. And it is not complete without our heartfelt thanks for the gift He has given us. We need to remind ourselves of this daily, for it is our plight to fall back into our old, human ways. The day-to-day life, so familiar and comfortable to us, can make us forget who we are: blessed children of God. In this season, I am reminded of a friend who touched me deeply when I was a preacher at Greensboro Urban Ministry noontime worship services. His name was Fred, and he had a special place in my heart. I remember especially one day… it was a cold Thursday in mid-February, and I’d burst through the doors to the lunchroom, announcing the beginning of midday worship. Slowly, deliberately, my friends made their way into the worship room. After warm greetings, all 16 of us joined in the singing of Amazing Grace. My homeless friends knew each word by heart. I looked around and my heart sank. Fred’s seat was empty. The week before, I’d worshipped with Fred and something had changed. We shook hands, but he would get no closer than arm’s length. His skin, normally the color of fine walnut, had lost its radiant glow… giving way to an ashen-like quality that hinted at dwindling days. His smile was hidden behind two tightly closed lips. And the eyes… the laughing, glowing, heart revealing onyx gems of eyes… they were covered with the tell-tale gauze. Their gaze was fixed on me, but the stare was straight through me, into that other world of drug-induced delirium. And now, on this day, he was gone. He was somewhere on the street, a lost man of thirty. Money was being paid and drugs were being bought. The presence of Christ in Fred’s heart, a presence that rendered Fred, at once, alive, engaging, thrilled with joy and filled with love, was now but one more thing covered by layers and layers of feel-good-right-now. But I couldn’t dwell on that. The others were in the room, and we worshipped as community. “Big Man” roared in laughter as he hit a bad note. He shouted, “Amen!” at the end of every line. speculate too much about her chosen profession). Grady read his new poem about grace… then, promptly got up and left. Marion told us about her new apartment, granted through God’s grace. We all clapped. Then there was the proclamation. Today’s sermon: The Lost Sheep. At sermon’s end, we talked, we gathered, we held hands and we prayed, as always. We prayed this day in thanks that God woke us up. We prayed for food and shelter for all the poor. We prayed for the lost rich, that they would see through the idols of money, power, “success,” and the attendant bangles, and come to worship the true Lord, Jesus Christ. There was no guile, no arrogance, no pride, no hidden agendas; just a circle of people from all walks of life, praying for the world to become the community of Christ. It was that first perfect day in Spring; that day when the air was warm and the sky was Carolina blue and the dogwoods blossomed and, were you still in high school, you’d be absolutely certain that hanging with your pals on a day like this was what heaven was like. It was Thursday, and that meant another noontime worship. Greetings were shared, and all took their seats. Amazing Grace gave way to A Mighty Fortress, and on this perfect day given by God, not even the Mormon Tabernacle Choir sounded better than us folks at Urban Ministry. We prayed. We read Bible verses. Then, the proclamation. The day’s sermon: The Kingdom of God. We spoke of time: No, the Kingdom of God is not something far down the road! God is not subject to our timeline… not hardly. The Kingdom, the Kingdom… maybe we get glimpses and slivers even on this day, even there at that moment! Maybe even the joy we felt in that room was a glimpse of the Kingdom. Maybe the creation; the limbs which, three weeks back, were skinny skeletal fingers, seemingly dead against a cold gray sky and were now bursting with flowers and shoots and buds in a glorious celebration of life… maybe that was a taste of the Kingdom. He was back, at least for a while. There was hope. We hugged like brothers separated by years of war. Tears filled our eyes and spilled over. A taste of the Kingdom of Heaven.